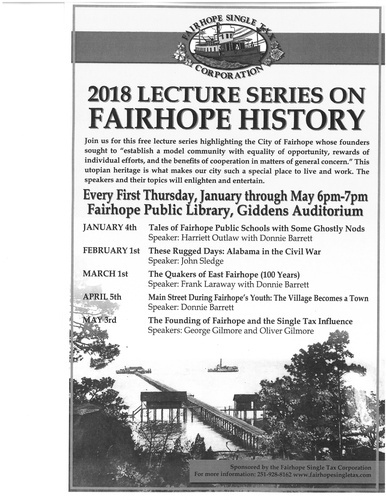 Join us for this free lecture series highlighting the City of Fairhope whose founders sought to "establish a model community with equality of opportunity, rewards of individual efforts, and the benefits of cooperation in matters of general concern." This utopian heritage is what makes our city such a special place to live and work. Free. Sponsored by the Fairhope Single Tax Corporation.